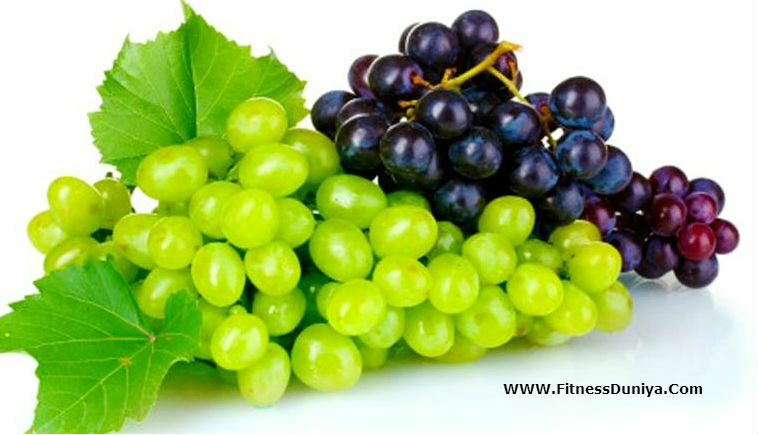 Do you know the health and beauty benefits of grapes?Here we tell you about grapes and benefits.Grapes have diffrent variants on their colors like black,red,green,blue.Eating grapes is very good for health,grapes contain vitamin C which boost immunity,good for instant energy,loaded with powerful antioxidants known as polyphenols which reduce the risk of cancer and also very good for your mouth,lungs,colon,prostate etc.Grapes is the best source of vitamin B6,vitamin A,vitamin C and important minerals like calcium,iron,potassium,magnesium,selenium etc. Good for skin - make your skin supple,reverses aging,protection against sunburns,lighten scars. Good for hairs growth and beauty like stop hair fall,control dandruff,good for hair growth. Drinking grapes juice provide instant energy.